U.S. Births Dip To 30-Year Low; Fertility Rate Sinks Further Below Replacement Level : The Two-Way The results put the U.S. further away from a viable replacement rate — the standard for a generation being able to replicate its numbers. In 2017, birthrates fell by 4 percent both for women 20 to 24 years old and for women 25 to 29, according to the Centers for Disease Control and Prevention. The CDC calculates a "total fertility rate" by estimating how many babies a hypothetical group of 1,000 women would likely have over their lifetime. That measure now stands at 1,764.5 births per 1,000 women — a 3 percent drop from 2016. The replacement rate is 2,100 births per 1,000 women. Historically, the number of babies born in the U.S. has gradually risen since a sharp decline in the early 1970s. But that growth has been inconsistent, and over the same time frame, the birthrate has shown a general decline. The numbers are often subject to spikes and sudden dips, driven in large part by the country's economy, generational size and other factors. As The Associated Press reports, the U.S. birthrate is "still above countries such as Spain, Greece, Japan and Italy, but the gap appears to be closing." Women in their 40s were the only group to see a higher birthrate last year. Between the ages of 40 and 44, there were 11.6 births per 1,000 women, up 2 percent from 2016, according to the CDC's provisional data. Birthrates fell by 4 percent both for women from 20 to 24 years old and for women of ages 25 to 29. For women in their 30s — a group that had recently seen years of rising birthrates — the rate fell slightly in 2017. The drop included a 2 percent fall among women in their early 30s, a group that still maintained the highest birthrate of any age group, at 100.3 births per 1,000 women. For the third year in a row, both the preterm birthrate and the low birth weight rate rose. The CDC said that the 9.93 percent rise in preterm births was due to late preterm births and that the early preterm rate had not changed from 2016's 2.75 percent. Low birth weight — defined as newborns that weigh less than 5 pounds, 8 ounces — rose slightly above the highest level previously recorded, with 2017's 8.27 percent topping 2006's 8.26 percent. The overall cesarean delivery rate nudged upward in 2017, rising to 32 percent from 31.9 percent – still below the all-time high of 32.9 percent in 2009. A previous version of this story incorrectly said 2017 had the lowest number of U.S. births since 1978. 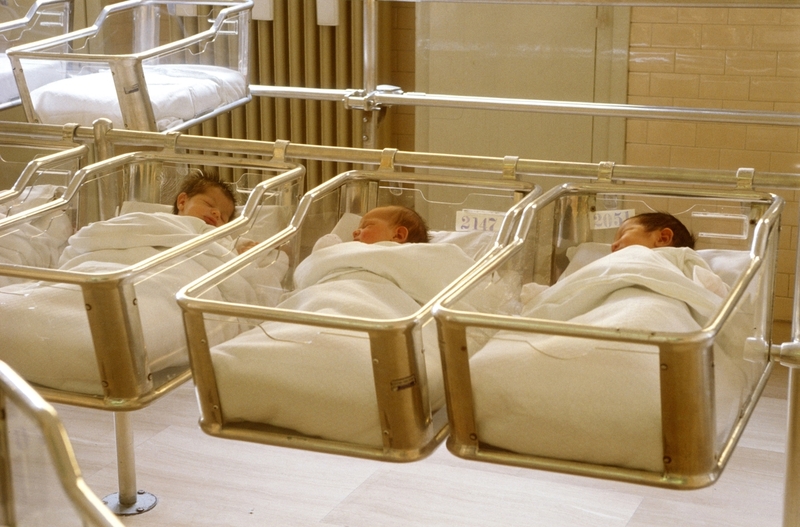 In fact the number of births was the lowest since 1987.